Members now get even more! 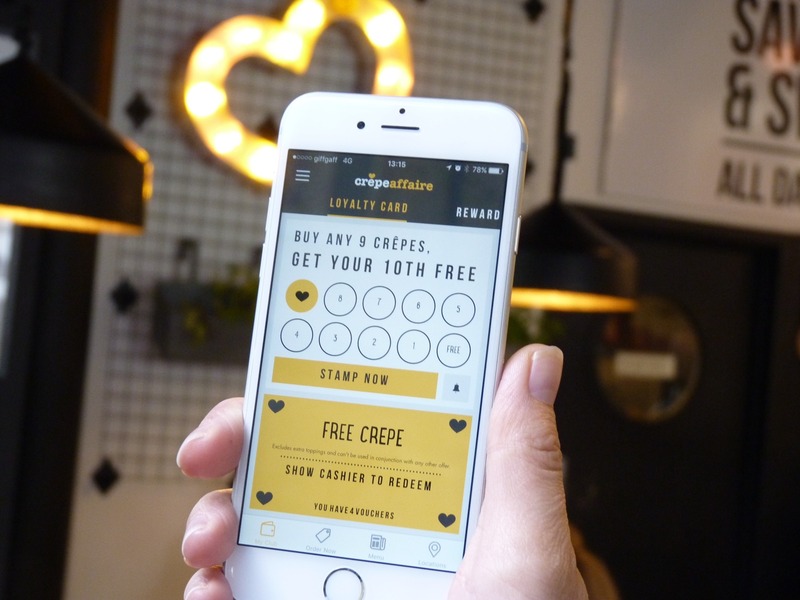 We’ve launched exciting new features to our Crepeaffaire Club App, so now… members get MORE! 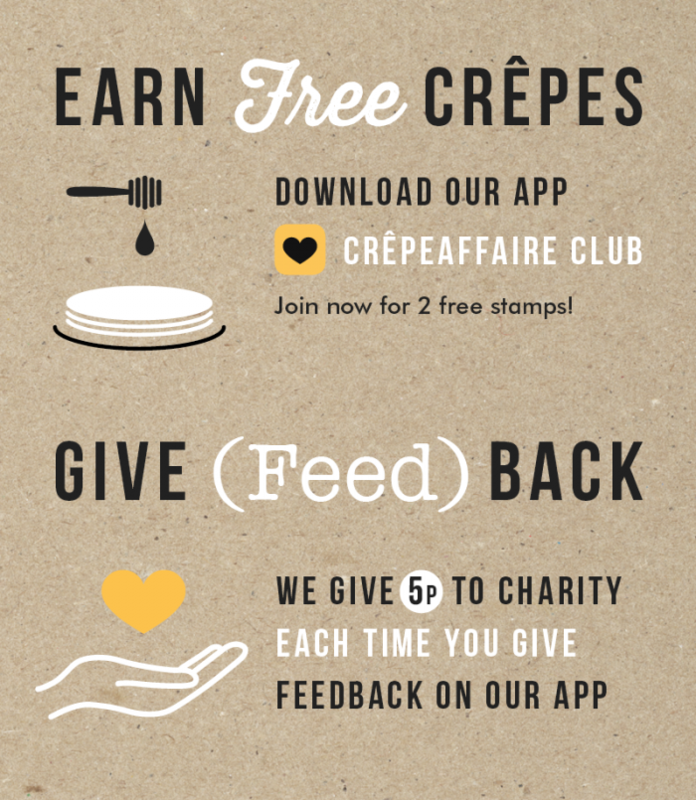 Download our app and begin your own Crêpe-affaire with exclusive offers based on your loyalty level. Earn a stamp forevery crêpe you buy, and work your way up to GOLD status. We’ll start your journey with a bonus 2 stamps when you first register, so our newest members are already closer to a free crêpe!